We are curators of innovation and docents of luxury. 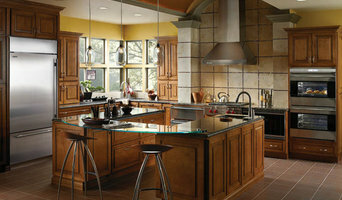 We don’t just connect you to high-end appliances; we help bring technology, ingenuity and style to your kitchen. It takes true understanding of your lifestyle to ensure that every appliance we deliver reflects your aesthetic and level of sophistication. We believe relationships are the foundation of our business. That’s why we work hard to inspire everyone from industry professionals to our end consumers by empowering them with access to luxury appliances that bring refinement to those who demand it most. "Founders Steven Chavez and Justin English were fraternity brothers at the University of Colorado in Boulder. Following graduation, they each embarked on individual entrepreneurial pursuits only to reconnect a decade later for a collaboration that became SPARQ Home. With their common passion for serving the environment as their beacon, Steven and Justin created a company that continues to challenge the boundaries of design and that is fueled by their parallel interest in re-animating the entertaining space. Since the start of their journey together, they’ve expanded SPARQ’s kitchen couture product line to include hundreds of unique items that are all design-centric and environmentally deliberate. They are both married and raising young children in beautiful Denver, Colorado." Our Loveland bank offers world class banking services combined with sincere, personal service. Give us a try! Call or stop by our branch today. There is no better time than the beginning of fall to have your furnace serviced. Most companies who provide furnace service find that the average customer waits until the first few cold days to have this done. That may be a mistake!